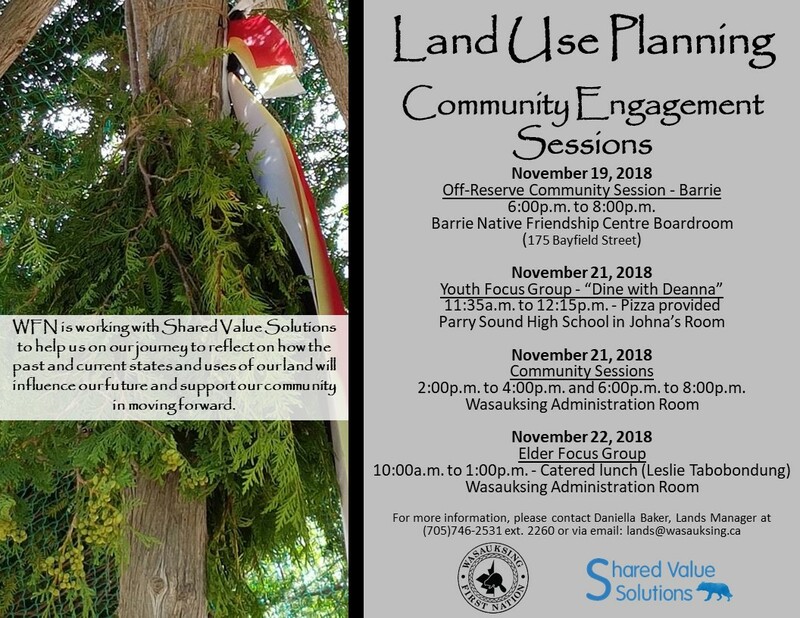 By updating our Community Development Plan and embarking on Land Use Planning, WFN will be able to assess land uses and community needs, taking into account our future needs, and ensure our land is maintained or developed in a practical and sustainable manner for the betterment of our community and its Citizens. 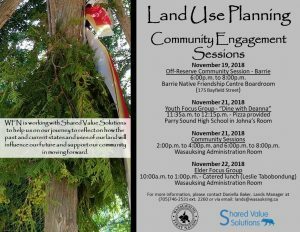 Come on out to these Engagement Sessions (November 19 to November 22, 2018) to discuss land use planning, ask questions, and share your visions for our future. This is an opportunity for everyone to have a voice! P.S. The results from the Land Use Plan survey will be posted soon! Chi-miigwetch to everyone who completed the survey. 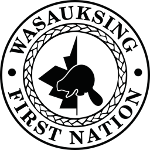 Our Land Use Plan could not truly reflect the community of Wasauksing First Nation without your input.